I want to buy the UPC/EAN Font to use with the IDAutomation FileMaker barcode font encoder plugin for FileMaker but I am not sure if it works. I downloaded the trial software and it doesn't work, I can't see the barcode fonts in my library. I restarted several times, so now I'm a bit scared to buy it. If this does not work, are you running FileMaker Server? If so, there may be some issues with using the plug-in. Try this solution. Nathan	 You will need to purchase the Developer License. This license option allows the rights of the developer to work with the product. It also supports installation for up to 10,000 total users/distributions, which will certainly support your 5 computers including the developer computer. Please feel free to purchase the UPC/EAN Barcode Font Advantage Package at your convenience. Which package should I buy? I plan to keep on developing my filemaker application on 1 developing computer, and use the finished product on 5 computers including the developer. Does this mean I need one license since theres only one developer or 5 since it will be used on 5? carinemark	 ok, thnx a lot, it works now, i will buy the package. Ben Is the formula encoding the data? Ben Please send a PDF of the barcode to our support email attach a screenshot of the barcode to this forum post. i installed the demo font package and used the SupceanL, it prints very nicely but my scanner doesnot react on it, i tried to scan it in a texteditor, but there is no scan. Ben Yes. It is compatible with OS 10.9.4.
carinemark	 Will it work for sure on OS 10.9.4? Ben The font encoder plug-in is a free encoder that can be used with the purchased font. 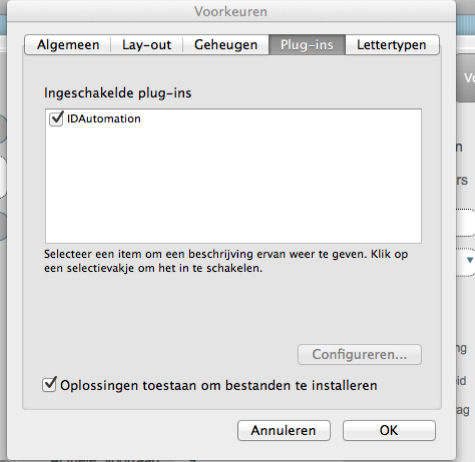 It is also possible to test the demo font package before purchasing. If you decide to purchase after using the demo, uninstall the demo before installing the sale version. carinemark	 so i also have to buy the font? 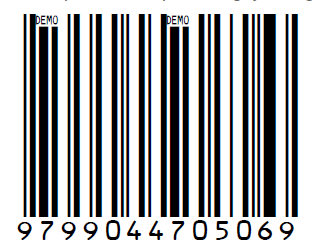 in the explanation video it says the barcode is automaticallly installed? Maybe you could send me the link for which products i need to buy? i want to use the Ean13 barcode. Ben Did you also install a barcode font? If so, which font did you install? This post and the your original post does not mention that any IDAutomation barcode fonts were installed.